Asphalt sealing is a great way to increase your asphalt's lifespan. This weatherproofing is a great investment to maintain the convenience and smooth functioning of your asphalt driveway for foot and automotive traffic. Asphalt is comprised of sand, rock and oil, with the last of the three acting as a binding agent. Oil is the magic ingredient that brings the three together. But as oil is the active “life” of the road, it is susceptible to age. Asphalt fades to a lighter gray overtime due to sun exposure and the breakdown of the oil. A sealant will help maintain that dark black color of asphalt and help prevent cracks due to moisture. Although sealing cannot be substituted for repairs, it will extend the life of your pavement. 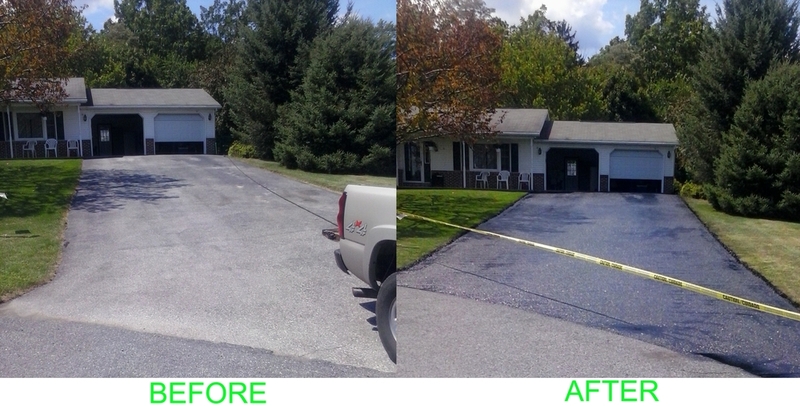 Sealing is an option even if your asphalt is several years old. However, to maximize the advantage of the sealing we recommend sealing the asphalt as soon as possible. As residents of the mid-Atlantic coast and of the northeast, we see the full brunt of the four seasons. Our sealant protects your investment.